Navy Blue & Rose Gold Foil Watercolor Marble Agate Gilded Geode Design, with Modern and Script fonts. 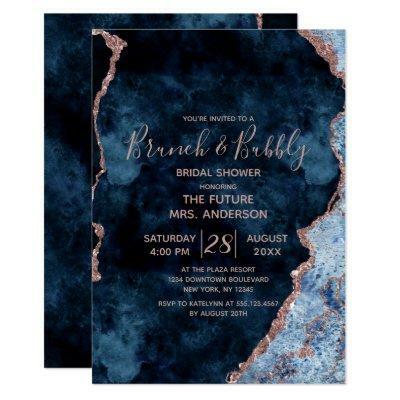 Trendy and Chic Brunch and Bubbly Bridal Shower invitations! ~ Check my shop to see the entire wedding suite for this design!